World of Color is Back at Disney California Adventure! But Why Was it Gone So Long? 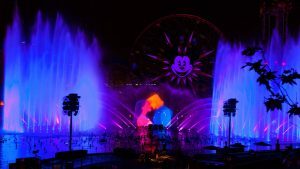 The nighttime show World of Color has returned to Disney California Adventure. But what caused its 10-month absence? We take a look at the long delay for this popular show's return. 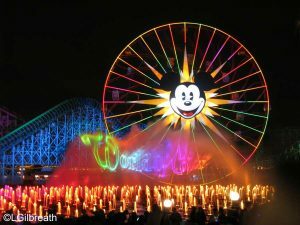 World of Color Returning to Disney California Adventure! After an absence of over 10 months, World of Color returns to Disney California Adventure starting February 22, 2019. Contributing photographer Jason of disneygeek.com sends us these photos from his pre-Thanksgiving trip to the parks on Wednesday, November 23, 2016. There is now a preferred parking option at Disneyland. They had the first 20 spots of the 4 or 5 rows closest the escalators blocked off on each floor. The preferred parking area on … Continue reading "Disneyland Resort Updates – 11/23/16"
The holiday season launches at the Disneyland Resort Nov. 10, inviting family and friends to make magical memories together. This year, guests will have even more to celebrate as they discover the new Festival of Holidays, with music, dance, food and heartwarming holiday festivities inspired by cultural traditions from around the world. 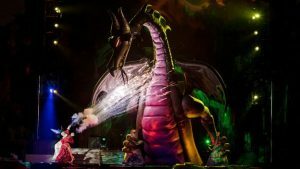 Also new for the season is the holiday-themed "World of Color-Season of Light," a nighttime water spectacular that will inspire guests with cherished holiday music and treasured Disney animation. 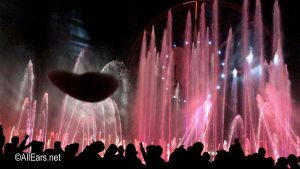 This fourth all-new production of World of Color creates a sparkling winter fantasy with magical storytelling, brilliant lights, lasers and high-definition projectors, along with fountains that shoot as high as 200 feet to create the giant screens of water. Princess Elena of Avalor also makes her debut at the Disneyland Resort during Festival of Holidays, performing in a colorful cavalcade. Contributing photographer Jason of disneygeek.com sends us these photos from his walk around the Disneyland Resort parks on Friday, September 30, 2016. Lots of construction is moving forward at these locations.